Purest Sea Salts - Himalayan salt, French Grey salt, Dead Sea salt, Epsom Salt KOSHER CERTIFIED - NON-GMO - GLUTEN FREE - Food and Cosmetics use. Fast delivery and received well package. First to try hope is the same as what I used previously. Recommend written by mobile Packed well! Products arrived and Packed well!! Package received in good condition. Thank you for the fast delivery! Hi They are natural dried salt without reprocessing. Dear seller, May I know after soaking with dead sea salt bath, we need to rinse it off with plain water? Hi Yes, you need to rinse it off. Do not leave the salt stay on your body, as it will become irritating again to your skin. Pls advise which sea salt is best used in cooking. Hi You can use himalayan pink salt, French grey salt and mediterranean salt. They food grade salt. Hi I am sorry for late reply, The salt is suitable for food and body. Is Himalayan pink salt also a kind of sea salt? Himalayan salt is rock salt or halite from the Punjab region of Pakistan. It is mined at the Khewra Salt Mine in Khewra, Jhelum District, Punjab, which is situated in the foothills of the Salt Range hill system in the Punjab province of the Indo-Gangetic Plain. Just would like to share to all the rest that I had an unpleasant experience about this seller. I have participated in one of the auction run by this seller. We spent time and effort to bid. After the bid closed and notification has been sent to inform my successful bid, but seller just cancelled my successful bid. So when win, you take. When lose, you run. Is it the way how you run your business??? Dear customer We are apologize for inconvenience caused, however this action is controlled by Qoo10 sales team. If you have any unhappiness about the games, kindly feedback to Qoo10. Thank you for your sharing. 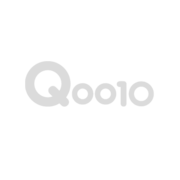 As a seller, please check with Qoo10 and give us a satisfied answer. Otherwise, you should honour the deal. hi seller, are the items on sales, it is $5.90 on Qtalk live sales? Please check. Hi We do have limited packet sell in Qtalk live, kindy check the promotion.